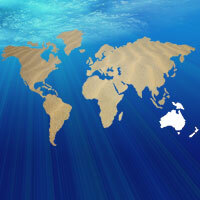 Australia ranks as not only the smallest of all the continents, but it is also the most southerly. 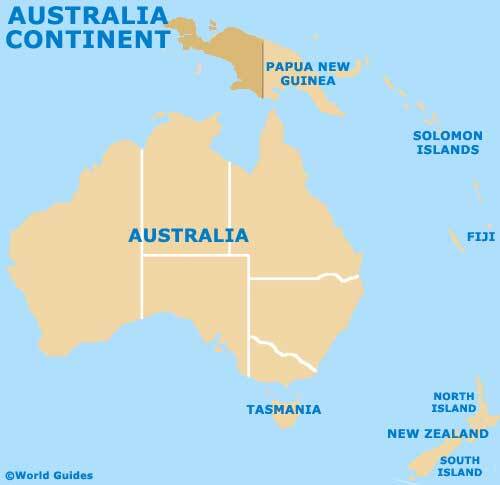 The country of Australia forms the biggest landmass, being accompanied by Fiji, the Malay Islands, New Guinea, New Zealand, Papua New Guinea and the Solomon Islands. Regularly referred to as Australasia and also Oceania, the continent of Australia resides within the Southern Hemisphere and comprises in the region of 10,000 islands, which are all surrounded by the Pacific Ocean. The Commonwealth of Australia (the country) was originally inhabited only by the Aborigines and now has numerous nationalities living here, including many of British and European origin. This huge island is divided into a series of eight states. Comprising two neighbouring landmasses, New Zealand is another popular country categorised as belonging to the continent of Australia, being situated directly to the east of Tasmania and south of Fiji. Those holidaying on New Zealand often choose to stay for several weeks, hiring a car and exploring the principal towns, extensive coastline and distinctive biodiversity. Wellington has ranked as the capital of New Zealand since 1865 and is known for its extremely high quality of life and undeniable tourist appeal. The Commonwealth of Australia is a large country which is situated in the southern hemisphere, including the scenic island of Tasmania. Canberra serves as the Australian capital, while Adelaide, Brisbane Melbourne, Perth and Sydney are all significantly larger. The vast country of New Zealand is located between the Tasman Sea and South Pacific Ocean. With two main islands, the North Island and the South Island, New Zealand has become a major tourist destination. Attractions in New Zealand include Wellington - New Zealand's historic capital, Auckland - on the North Island, and Christchurch - in the Canterbury area on the South Island. Both Queenstown and Wanaka stand out when it comes to recreational activities, while Milford Sound offers an expansive lake and mountainous scenery.